The ending came as a surprise to me, because I was not expecting that we would work through 18 episodes of “let me live!” just to get a “but I’m dying anyway.” But I thought more about it and it’s not just that I’ve made my peace with a character death, I realized as I was watching the last two episodes that this death is not meant to be a cop out, nor is it a stint in bad writing. The whole premise of the drama was to teach a lesson: death is not a be-all and end-all catastrophe. Of course it feels like it is for those who suffer it, and those who have to go through the process of grieving afterwards, but death in itself is undeniably a part of life. The goal is to look beyond death and to embrace it beyond the idea of finality. 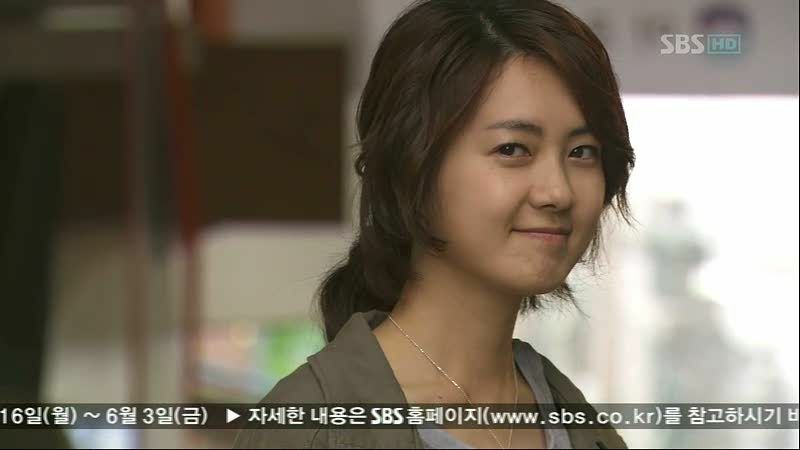 To dislike Ji-hyun’s death is to miss the main point of the story. The goal is not that Ji-hyun lives; the goal is for Ji-hyun’s life to be lived meaningfully, which it was. The 49 day journey was to teach her the value of love, lies, and life, and we’ve witnessed multiple times where Ji-hyun’s made her peace with death, so her ultimate true death is not meant to be a blow. It’s meant to make a point. When Ji-hyun started her journey, her one desperate goal was to scramble to find three people who loved her, and then to come back to life. But through her process, she obviously deviated from course and learned that life is not just about vapid validations and lip service, as manifested through her false love marriage with Min-ho, and the fact that the friends Ji-hyun thought loved her, didn’t really love her. Life is a struggle of learning the truth, making things right, helping people gain a peace of mind, and spreading goodwill. The idea of just living as a physical presence soon fell by the wayside as Ji-hyun realized that physically embodying one’s form is not enough to really live, which is why she made it perfectly clear during the final stretch that correcting the wrongs that she brought about to others was more important than her being physically planted on earth. And that’s a courageous message because I think that it’s the harder one to write gracefully, and it’s the harder one for fans to accept. I’m a thorough lover of the happy ending where things are all nicely wrapped up with a bow, but I completely respect the way the writers chose to close this story. I think the purpose of this drama was to be a little philosophical, think a little deeper about life and death, and not be upset when people die. The more I think about it, the more meta 49 Days becomes to me–the whole process of watching the drama was a journey in itself in readying the viewer to be okay with Ji-hyun’s death. So I really loved this drama. This drama was an important watch for me for personal reasons and I learned a lot. I loved all the characters, I loved their journeys, and I loved how gracefully and skillfully the writers’ messages were conveyed. Life and death are usually plot devices in Kdramas in ways that grate my nerves and give me no substance to work with, but they were loaded with meaning in this drama, and I really appreciate that death was not used to buy sympathy or gain viewership. Death is a hard thing to accept and it takes a long time to make peace with, so I appreciate the honesty and realism in the story that was told. I really couldn’t ask for more in a drama. Great reflections. I have to say the only thing that ticked me off was the rushed deus ex machina of SYK being JH’s older sister. I wouldn’t have mind so much if it was nicely integrated into the ending and as well paced as YS/Scheduler’s departure. It would have been better if YK just ended being a very close family friend of JH where JH’s mom & dad treats her as one of their own. Also there is a part of me that is very curious as to what if the two couples realized they had met on that fateful day in high school…but regardless this was the best drama I have thus far this year! I will miss you so much KANG-AHHHH! I really enjoyed this drama as well… It thought it would a typical rom-com but the neat parallels and metaphors made it a lot more exciting to watch than I thought it would. I’m glad the writers had the guts to stick to this ending rather than coping out and writing a fluffy happy ending. and your review just made me cry again…thank you!! !